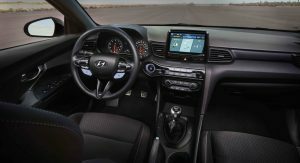 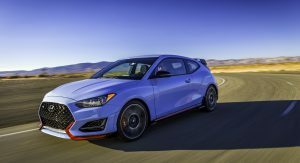 Hyundai has marked the second public appearance of the all-new Veloster N in as many months at the 2018 Chicago Auto Show. 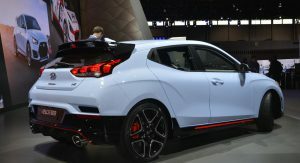 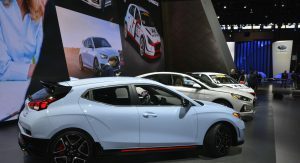 Presented alongside several other vehicles, including the i30 N TCR racer, it builds upon the second generation Veloster and brings several technical and visual updates that turn it into a hot hatch. 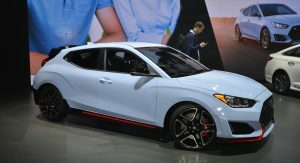 With the Volkswagen Golf GTI in its sight, the 2019 Veloster N wants to attract buyers with a more aggressive exterior design and several wheel options. 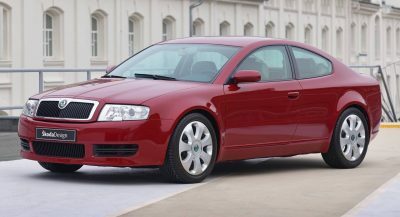 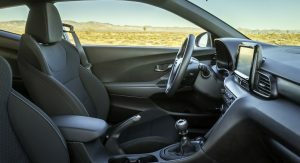 The front sport seats, tweaked steering wheel and shift knob, along with other work carried inside, accentuate its sporty character. 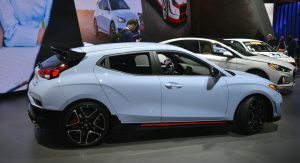 Beneath the skin, the brand’s second product of the ‘N’ performance sub-brand after the i30 N adds new suspension, improved brakes and an electronically controlled limited-slip differential. 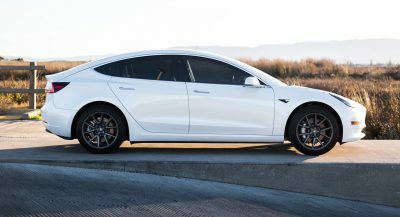 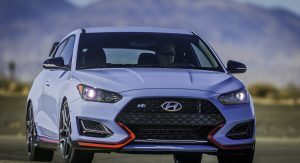 This help it cope with the 275hp and 260lb-ft (353Nm) of torque produced by a 2.0-liter turbocharged engine that’s mated to a six-speed manual gearbox. 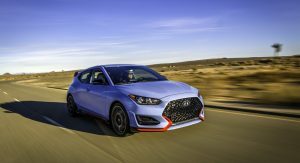 Hyundai hasn’t so far announced the naught to 60mph (96km/h) time of the Veloster N. However, given that it shares quite a few things with the i30 N, including the powertrain, it’s safe to say that it comes close to its sibling’s 6.1 seconds. 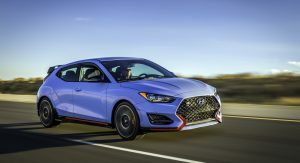 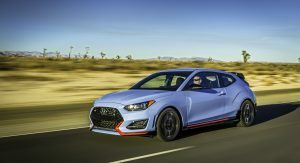 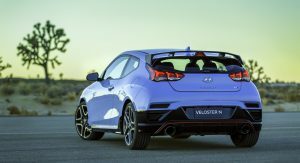 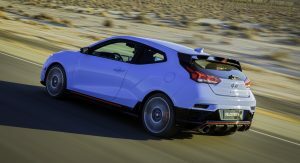 Those looking to buy the new Veloster N will have to wait until the fourth quarter of 2018, as that’s when it will go on sale across the nation, shipped from South Korea, where assembly will start in September. 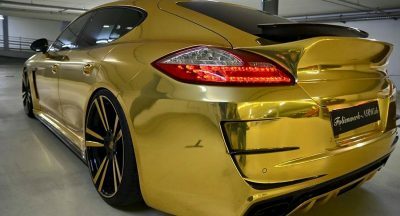 If it drives well I can pardon some of that- but point taken. 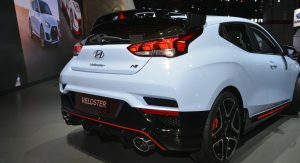 it’s ugly. 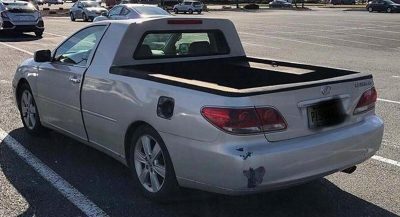 Very ugly. 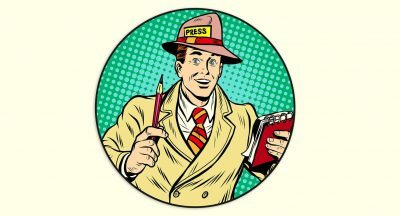 Why don’t they hire a couple of Italian Masters to show them how it’s done.